Since wearing sandals is still, well, hottest trend, here I am with my hologram sandals, and my favorite all the time look, casual street style look with leather jacket. Oh Darling, how I really love wearin my leather jacket and this my new jeans that I got from Abaday, this is gonna be my favorite jeans 'cause there is some patch on my new blue jeans. I feel so comfy dresses like this, guess why, I always love street style look and wear what I want without any doubt and think about what people think. And speak about my trip yesterday, If you follow my instagram you will know that I had, uh oh, my-amazing trip. Yashh, I got a camp and climb the peak with all my fellas last week to see the sunrise, oh God what a breath taking moment, although it was very tiring but it was worth it. I saw a milky way too for the first time *sobbing* *playing Jonsi - Go do* Lol. Love it! That jacket is amazing. really like the lining on your top! aw that jeans is so cool! I love the jeans and that jacket! You look cool girl! 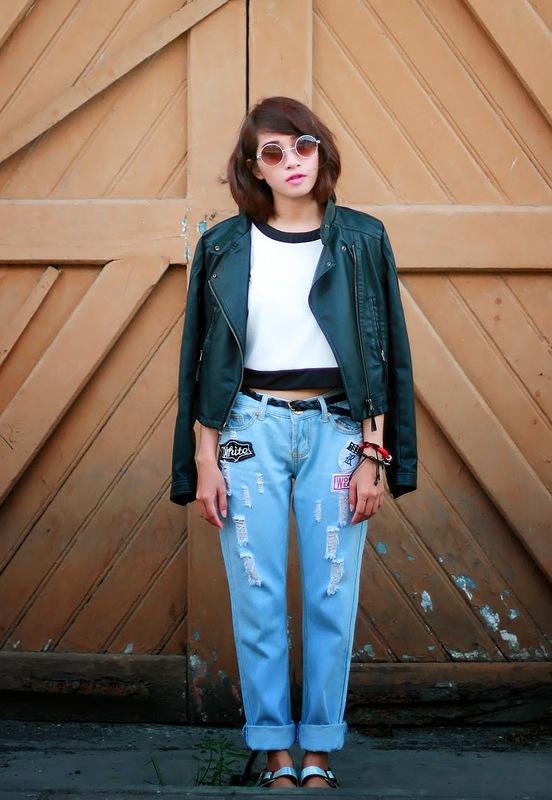 I love the patches on jeans and that hologram sandals! Added you as blogger friends, mind to followback my blog? Thanks kak! Great jeans! And a leather jacket makes any outfit better. Ahhhh! I love your look so much! Your style is amazing and I am in love with your short hair! stylish! u rock this look! Beautiful! I love the outfit, those jeans look great on you! Effortlessly chic... I love it! I love the leather jacket and the crop top that you're wearing. I can't wait to start wearing my own leather jacket once the weather cools down. Amazing outfit, love your jacket so much!! Wow you look so rad!!! I love the jeans and the sandals. Perfection! And cool outfit, love that jeans! 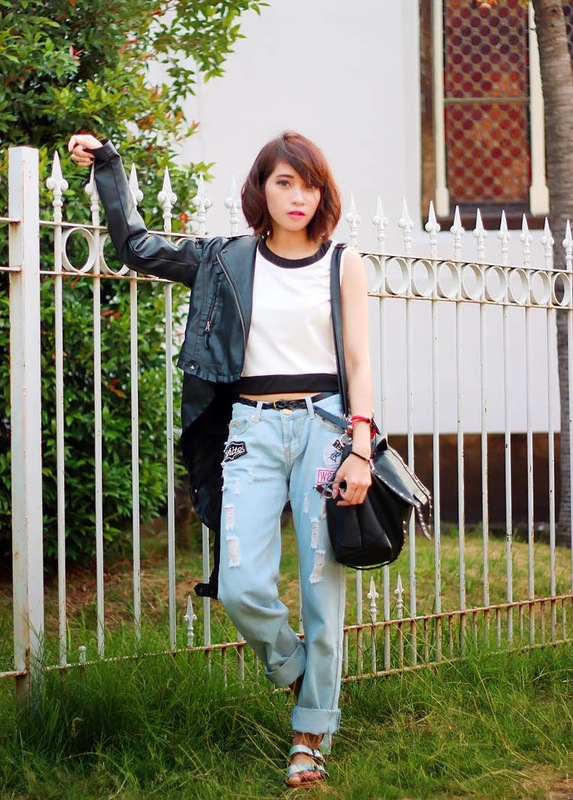 Great grunge look, I just love your hair style! I love love love your jeans! In fact, the whole look is daring!